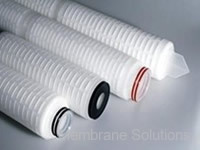 Clarifying filters and prefilters are recommended for removing contaminants that would affect downstream product quality, or otherwise plug a membrane filter and reduce its effectiveness and service life. 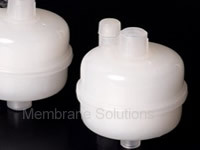 The economic advantage of extending a membrane filter's life is far greater than the cost of prefilters. 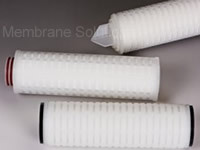 Clarifying filters and prefilters are suited for applications where 100% retention of contaminants above a specified pore size is not required. 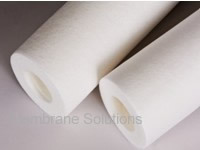 A non-fiber releasing, membrane-like prefilter is recommended when using a clarifying or prefilter as a final filter. Fiber matrix clarifying filters and prefilters may occasionally unload retained contaminants into the filtrate if subjected to shock, such as that caused by a rapidly actuated valve. 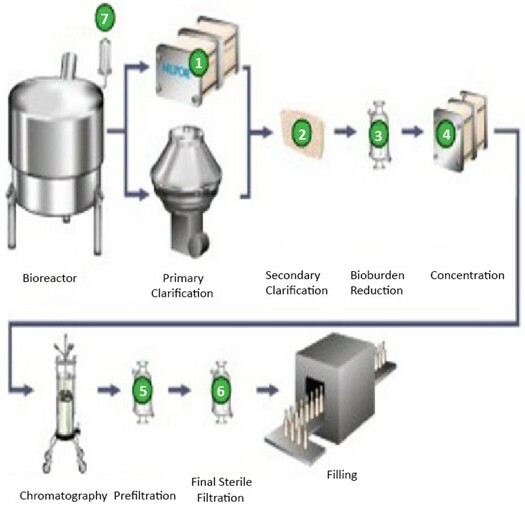 Selection of a clarifying filter or prefilter is based upon the retention efficiency required for the filtration process at hand. Choosing the proper nominal pore size for a clarifying filter and/or prefilter will ensure the required dirt-holding capacity in your system. It will also extend the life of the final filter, and provide an economic advantage. 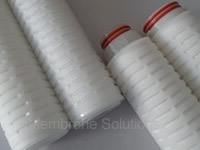 In some cases, it is practical to use a moderately efficient clarifying filter followed by a more retentive prefilter. This will allow each filter in the train to be more fully expended, while removing as much incident contamination as possible. Clarification filters remove contaminants from a fluid stream primarily by direct interception and sieving, where the unwanted particles are caught in or on the surface of the filter medium respectively. In addition, some liquid filters' removal capabilities can be achieved or enhanced by charge effects in which case they may retain undesirable species by adsorption. Clarifying filters and prefilters are recommended for reducing particulate and microbial contaminants in pharmaceutical processing and protecting downstream membrane filters. 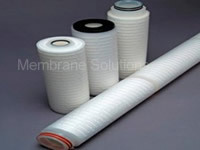 Membrane Solutions can conduct filterability studies on your individual products to determine the best prefiltration solution for your process. Our pharmaceutical prefilters have been specifically designed to provide removal of particulate and microorganisms from liquids in critical pharmaceutical applications. cartridges deliver high efficiency and consistent filtration of fluids in a wide range to critical applications.